They are halal research group, Institute of Halal Industry and System(IHIS), and biomedical innovation research group, Center for Innovation of Medical Equipment and Devices (CIMEDs). 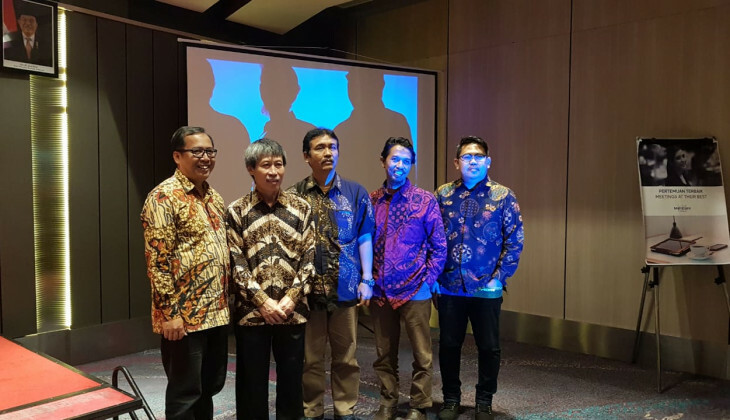 These two add to the three other research groups that had been declared previously, Centre for Southeast Asia Social Studies (PSSAT), GAMA-Inatek, and Centre for Agrotechnology Innovation (PIAT). UGM Research Director, Prof. Dr. Mustofa, Apt.,M. Kes., said the declaration was made because the two centres were seen as having competitive excellence for technology and science transfer whilst organisationally strong and sustainable. “They are expected to be the national reference that is world-class and a pride to the country,” Mustofa told reporters on Friday (8/3) at UGM. Mustofa said the two research groups would be funded by the government to be productive and excellent in their respective expertise. Mustofa said IHIS conducts studies in food, and halal system and industry. According to Mustofa, UGM as a leading university in Indonesia had started halal research since 2008 and became the centre of halal products research in 2011. “We want to support the country’s development in halal food, health, social services, tourism, and other sectors,” he said. Meanwhile, CIMEDs is a forum for research in biomedical areas consisting of researchers in engineering, material, manufacture, and medicine. He added the research group consisted of basic research, applied research, development of biomedical products, and laboratory and clinical testing. “The research activities are for developing health products so as to minimise dependence on imported products,” he said. CIMEDs is led by Dr. Suyitno, ST., M.Sc. and Dr. Budi Arifvianto, ST., M.Biotech. as vice chairman. IHIS is led by Ir. Yuny Erwanto, S.Pt., MP., PhD.